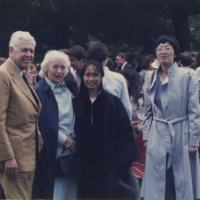 Qiao-Wen Xie (PhD 1985) with Margaret Keith at Bryn Mawr College Convocation. 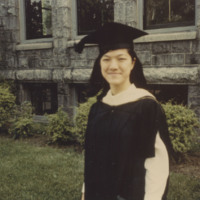 Martha Liao (Class of 1970) pictured with Margaret Keith in Merion, PA.
Agnes Wu (MA 1968 and PhD 1970) photographed with a cap and gown with the exterior of a building also visible. 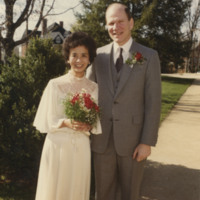 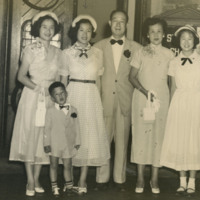 Ching Chang Hopeman with Arendt Hopeman III photographed on their wedding day at the First Presbyterian Church in Charlottesville, Virginia. 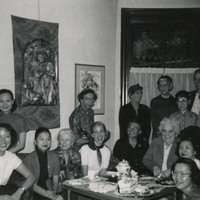 Ching is wearing a wedding dress and holding a bouquet while Arendt is wearing a suit. 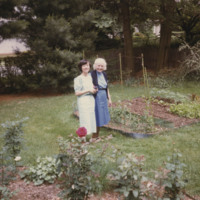 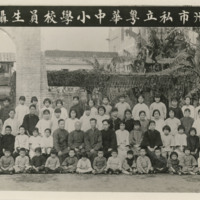 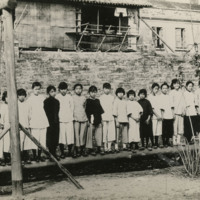 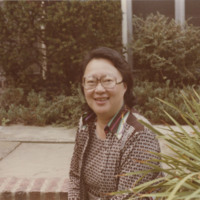 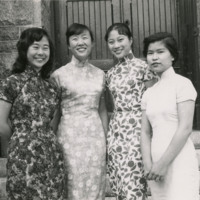 Betty Wei Liu (Class of 1953) photographed in Merion, PA.